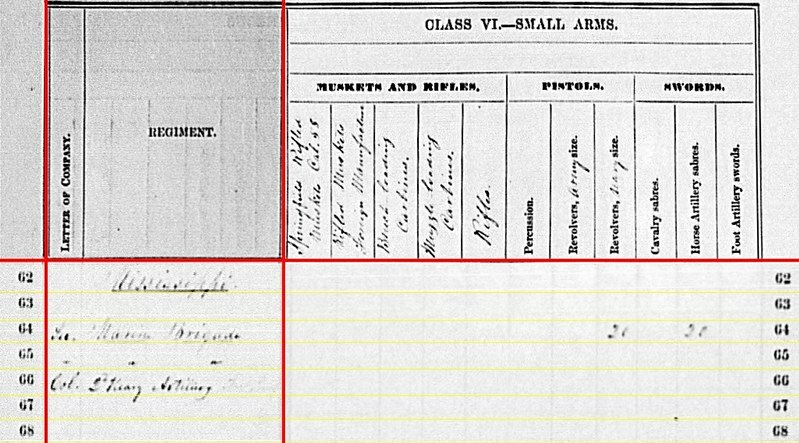 U.S. Steamer Autocrat: Six 3-inch Ordnance Rifles. U.S. Steamer Diana: Two 12-pdr “heavy” field guns. The first line matches, in quantity of guns, to Captain Daniel Walling’s battery. And recall the brigade reported two 12-pdr heavy field guns on the Diana during the previous quarter. Missing here are two 12-pdr Napoleons reported the previous quarter. And 12-pdr howitzers that were known to be with the brigade but not on the previous quarter report. I would suggest the Napoleons and field howitzers were actually “loaned” to the brigade, and were returned in June or July. After the fall of Vicksburg the Mississippi Marine Brigade continued to operate in that area. Among the important missions of the brigade, an expedition to Port Gibson rounded up Confederate civilians to be held in custody as leverage against a group of Northern school teachers held by Confederates. On September 9, the mounted portion of the brigade captured a Confederate paymaster with a sizable amount of money. But for the most part, the brigade was charged with protecting contrabands (Goodrich’s Landing among those) and plantations in northeastern Louisiana…. and getting into trouble. I posted a drawing showing the Diana for the last quarter. 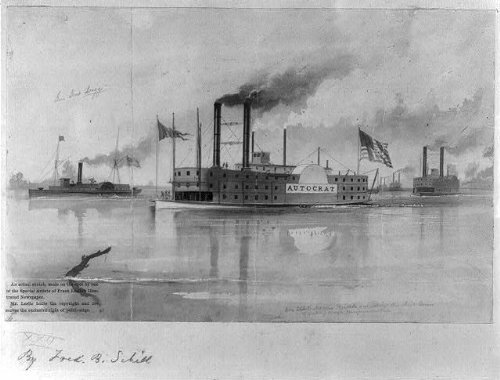 So here’s a drawing of the Autocrat, which was Colonel Charles Ellet, Jr.’s flagship. So for the Mississippi Marine Brigade, we have names and even pictures. Just a couple of questions about other cannon reported with the unit but not indicated on the summary. Clear is the date of receipt in Washington: May 16, 1864. Though as we’ve discussed with many of these returns and summaries, there’s a grain of salt that need be applied. Also clear is the location reporting from: Natchez, Mississippi. What’s in between can go a lot of ways. This could be “Col.” as in colonel, and then refer to another element of the Mississippi Marine Brigade. Arguing against that, while the brigade was “around” and elements would pass through Natchez during the summer, none were actually assigned to Natchez. Least not artillery. Furthermore, I cannot shoe-horn any transcription of the cursive scrawl that is a credible interpretation. And there is something erased at the end of that cell in the form which is unclear. I would contend this is not an element of the Mississippi Marine Brigade. I hate to go to the same well again, but this line could also represent colored troops being organized at that time in Mississippi. If that is the case, then the cursive might be “Col. 2d Heavy Artillery.” According to Dyer’s Compendium, the 1st and 2nd Regiments of Mississippi Heavy Artillery, African Descent, formed in September 1863. The first was assigned to the Vicksburg garrison. And the 2nd Regiment was at Natchez. These regiments became the 5th and 6th U.S. Colored Heavy Artillery, respectively. 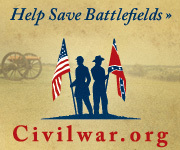 Certainly the 2nd Mississippi Heavy Artillery would be a candidate here. The regiment appears on department returns at Nachez, under Colonel Bernard G. Farrer, at the end of December 1863. Regardless of exactly what the unit this line represented, the discussion is a moot point. No equipment of any type or class is reported against that line. Steamer Diana: 58 shot, 88 shell, 154 case, and 88 canister for 12-pdr field guns. Steamer Autocrat: 574 canister, 125 percussion shell, and 74 fuse shell for 3-inch rifles. Lots of canister. Might we speculate that being aboard ship, the call was for close quarter work? Or, perhaps that’s all the Army would trust to the Mississippi Marine Brigade. Steamer Autocrat: 2,060 case for 3-inch rifles. I would throw a small flag of caution out here. The column header originally read “canister”. But as with all for this quarter’s returns, that declaration is struck through and “case” written in. So was this 2,060 more canister rounds… with the clerks just using the old column header? Or was this 2,060 case rounds for six 3-inch rifles? Either way, that’s a lot of ammunition on the Autocrat. Steamer Autocrat: Twenty Navy revolvers and twenty horse artillery sabers. If my speculations are correct, the clerks at the Ordnance Department placed two very different organizations under the heading of “Mississippi.” One was an unconventional (in source, role, and service history) unit which would be disbanded the following year. The other appears to be a force recruited, under the authority of the Emancipation Proclamation, from former slaves and given the task of defending river ports on the Mississippi.